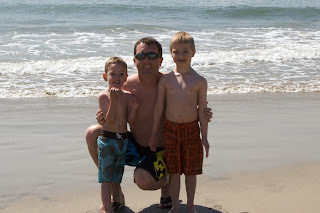 Connor, Brayden and I were able to go to Newport,CA with our friends Ryan and TiNeill and their son Easton. 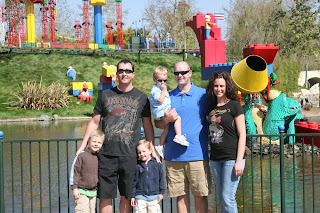 We had a great time going to Lego Land and Huntington Beach. I had to cut the vacation short and leave early (that story later) with the boys and left Ryan, TiNeill and Easton to enjoy the California sun. While we were there we stayed with my brother Aaron in Newport. 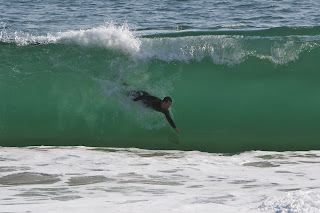 I was able to take a couple of pictures of him bodysurfing near the Wedge. The Wedge had the bigger waves but he got some great waves a little further down and didnt have to risk his life with the pros. 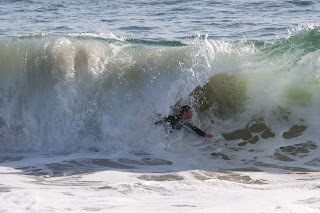 He has a great time living in California maybe its because he is able to find time to do this every day. Or it probably has to do with several of his good friends that we were able to meet while we were there. I dont think he will be coming back to live in Arizona any time soon. 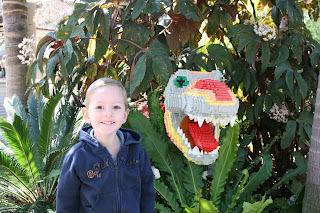 When we were at Legoland Brayden was so excited to get his picture taken with this T-Rex he could hardly contain himself. It was hard to pull away, he basically wanted me to take the T-Rex to our house. One of the most memorable moments at Legoland came in the bathroom stall. Connor got up from the toilet and was suprised by the automatic flush and said, "Wow that was magical, maybe that is why they call it Legoland". One of the least expensive activities on the beach was this snail. While he didnt cost the boys anything to watch it almost cost him his life. He just couldnt get out of thier curios reach fast enough. He was able to crawl away with miraculous speed when the boys turned their heads. 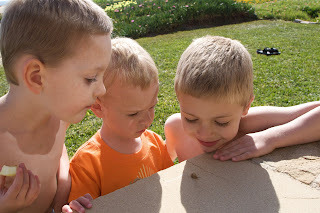 Brayden, Easton and Connor are the reason snails crawl in terror. I was able to get the boys to hold still for just a few seconds to get a picture with them. They had a great time but did miss their mom.